It’s that time of the year. Predictions abound about what technologies will take off, which will nudge their way closer to extinction, and how to benefit from all these changes. Every forecaster has their own strategy for making predictions. You can go on a wild flyer and claim brilliance if it happens to come true. You can sound intelligent by making some prediction on some esoteric branch of Artificial Intelligence that few will understand, and we’ll only know if you’re right is when you tell us so. Or you can play it safe and cover all the bases like Greg Coticchia, one of my favorite LinkedIn thought leaders, did in his 3 Things That Will Happen Next Year article. I’ll keep it simple and relevant. I’ll also give you a link so you can check, with one click, whether my prediction was correct. 2019 is the year that Google searches for direct mail marketing will increase. 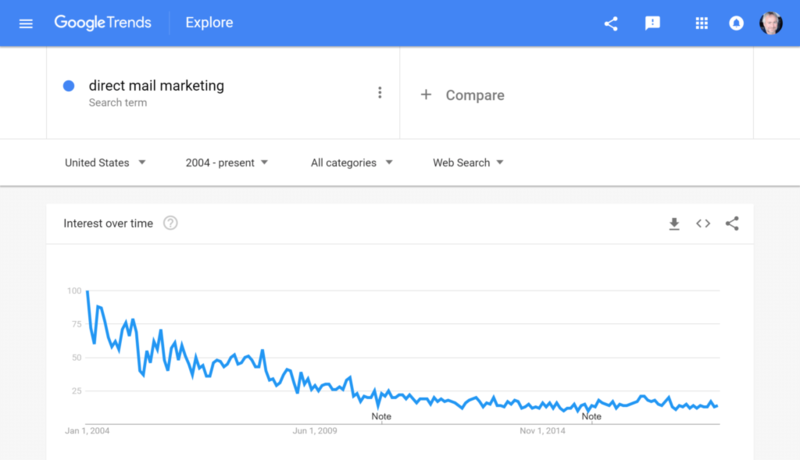 After declining considerably through the great recession, Google searches for the phrase direct mail marketing leveled out in 2013 and even saw a temporary uptick in 2017. I expect another uptick, if not the start of a new trend, in 2019. Note: Google Trends is a service that shows the relative number of searches for a search term or phrase over time. Google doesn’t explain how the numbers are calculated, but the value of 100 is assigned at the beginning of the term and you can see how searches increase or decrease over time. It also allows you to compare multiple terms. I highly recommend taking a look at Google Trends. It is useful for everything from keyword research to deciding how to describe or name your products and services. Several events occurred in 2018 that will drive interest in direct mail marketing in 2019. MailChimp’s postcard service, which I reviewed last August, has exited beta phase. It is useful for sending triggered abandoned cart postcards or coupon promotions. Canva, a popular service for easily creating social media graphics, now offers postcard templates that can be used to send postcards using the Canva system. There’s also DirectMail 2.0, which integrates call tracking, retargeting using Google and Facebook advertising, and direct mail to provide multi-touch campaigns. PFL (AKA Printing For Less) received $25 million from Goldman Sachs (Source: PR Newswire) in April. PFL’s Tactile Marketing Automation® software integrates personalized direct mail with the company’s CRM and marketing automation platforms. It allows companies to add direct mail as a channel in their automated marketing programs as easily as sending a triggered email. Then in August, PebblePost announced it also received a $25 million investment from Advance Venture Partners. PebblePost’s Programmatic Direct Mail® works by retargeting online browsers with direct mail offers, allowing someone who clicked through a retailer’s product pages to receive a direct mail offering deals on those items. Postalytics is an offshoot from the company that developed Boingnet. Boingnet is a service that commercial printers and mailers can use to provide integrated digital marketing and direct mail campaigns. Postalystics takes a different approach that is similar to PFL’s service. Postalytics is a direct mail service provider that integrates with a company’s existing CRM or marketing automation platform to deliver triggered direct mail based on consumer digital marketing interactions. Inkit.io takes a similar approach to integrate direct mail with existing marketing automation and CRM platforms. All of the above services are competition to independent direct mail companies. There are several companies that provide platforms that commercial print and mailing services companies can use to create campaigns that integrate direct mail with digital marketing channels like SMS, email, landing pages, and microsites. Three companies that have a long history of providing these services are MindFire, EasyPURL, and Boingnet, which was mentioned earlier. 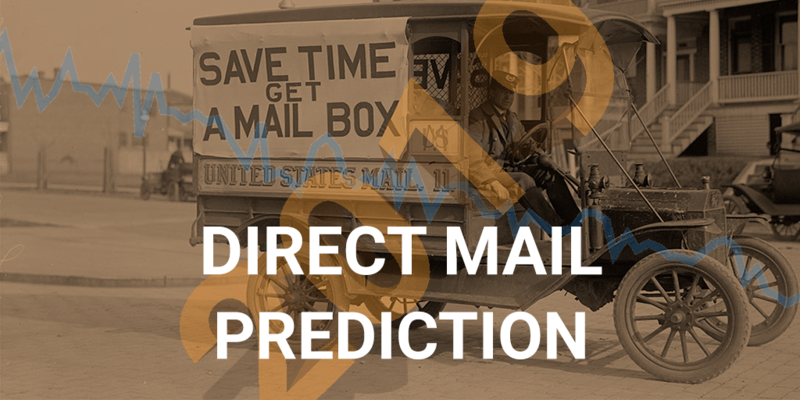 So Will Direct Mail be Trending Upwards in 2019? 2018 saw a lot of significant investment activity and product launches that integrate direct mail with digital marketing channels. Combined with email fatigue, GDPR privacy laws in Europe, similar laws in the US being planned, and the growing controversies surrounding Facebook and personal data ownership, the time seems right for direct mail. So will my prediction come true? Check out direct mail marketing on Google Trends later this year to find out. Tod Cordill helps small and medium-sized companies integrate digital marketing channels into existing sales and marketing efforts to more efficiently drive business growth. 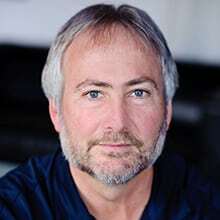 Tod has worked in a variety of industries including software, manufacturing, printing, and eCommerce and continues to work with similar companies via his work at Moderno Strategies. Tod combines his P&L perspective with engineering problem-solving structure to help clients grow their business. Todd – Great prediction and as one that has been in this industry for a long time, great news. There is so much that is right with Direct Mail as a channel and medium to compliment the full omni-channel experience. The enhancements in automated services that allow users the ability to manage, track and measure its success continue to grow.